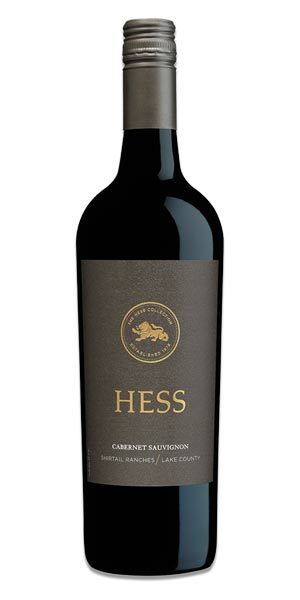 The Hess Family Wine Estates has vineyards and wineries in California, Argentina and South Africa. Their wine stories began on the volcanic slopes of Mount Vedeer in Napa Valley, California in 1978 and has grown steadily since that time. Along with its mountain vineyards, Hess Wines has won acclaim for its other estate vineyards in Pope Valley and near the Carneros growing region of the Napa Valley and has long-standing partnerships on the North Coast with family-focused growers who share Donald Hess vision of sustainability and quality. Hess Wines offers three distinct tiers of wines from Mount Veeder, from Napa Valley, and Hess Select, which sources fruit from the North and Central Coasts of California. The Hess Collection Shirtail Ranches wines are are carefully crafted to complement a diversity of cuisines and are equally at ease as an aperitif or at the bar; making them great wines for on premise as well as for when you are hosting a dinner party! Sourced primarily from the highly regarded Red Hills district of Lake County, the grapes are farmed to our exacting standards. This unique growing region offers a relatively mild Mediterranean climate with predictable heating and cooling cycles. Rolling hillsides and benchlands offer prime vineyard sites producing flavorful fruit with layers of agreeable acids and balanced tannins. This wine, which is a blend of 86% Cabernet Sauvignon, 11% Petite Sirah, 3% Syrah, offers pleasing aromas of plum, black cherry and savory herbs. Rich and ripe upon entry, layers of black fruit and espresso are surrounded by perfectly toasted oak, which are marked by mouth-coating tannins.